Nautilus - meaning seafarer - is a beautifully designed and purpose-built 14 metre motor yacht. 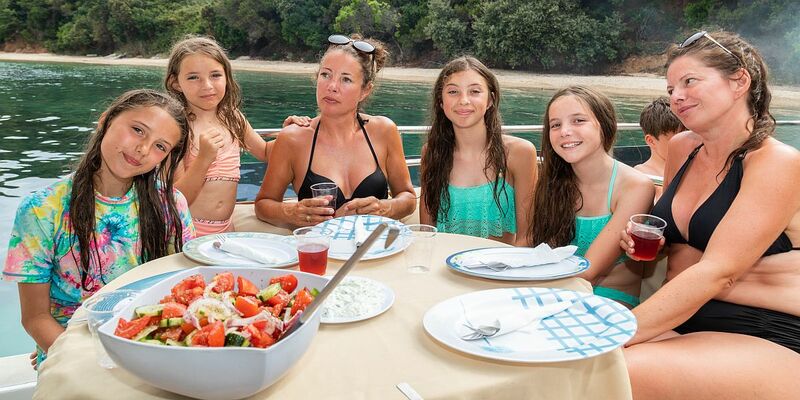 By far the most relaxed way to enjoy Corfu’s magnificent scenery is by boat and seating up to 30 guests Nautilus offers an unrivalled range of Corfu mini-cruises, including swimming and fresh fish BBQs on deserted beaches; voyages along Corfu's beautiful north-east coast; and both daytime and evening boat trips to Corfu Town. She is also ideal for large private parties, for example weddings. 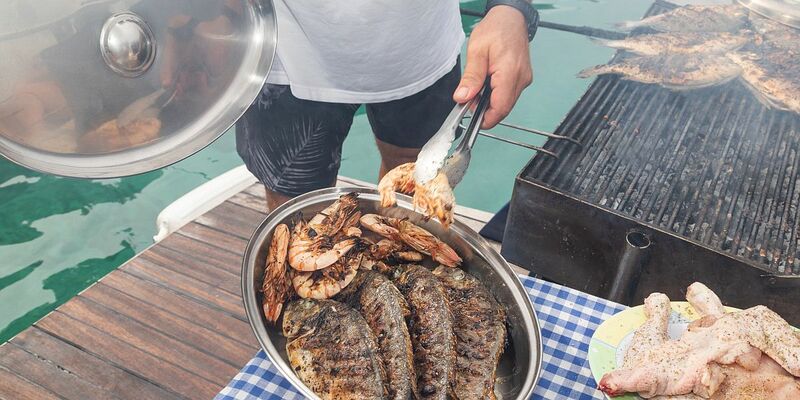 Nautilus is a beautiful boat and her captain, Iakis, is the perfect host. 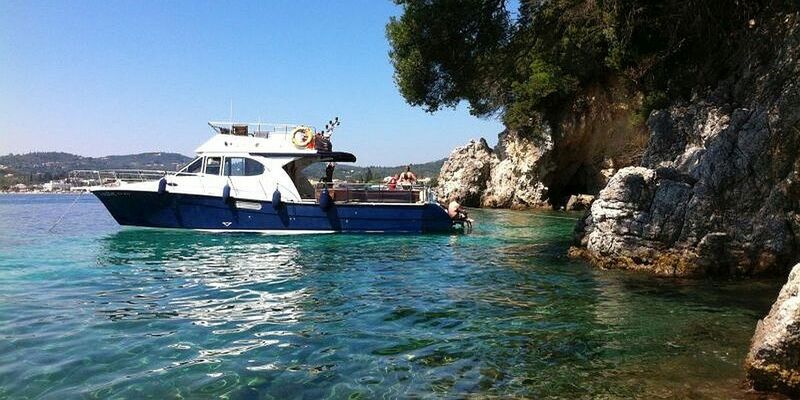 Iakis was formerly the well-known captain of the popular Corfu excursion boat Vivi. 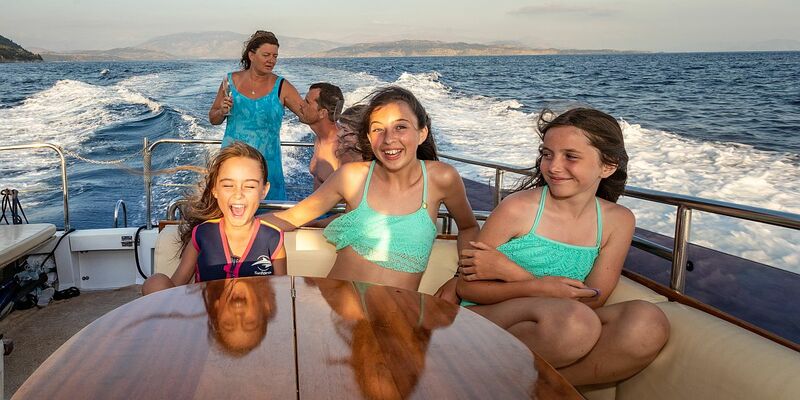 With his years of experience, he wanted to offer his guests Corfu boat trips that offered safety, style, comfort and, if needed, speed. 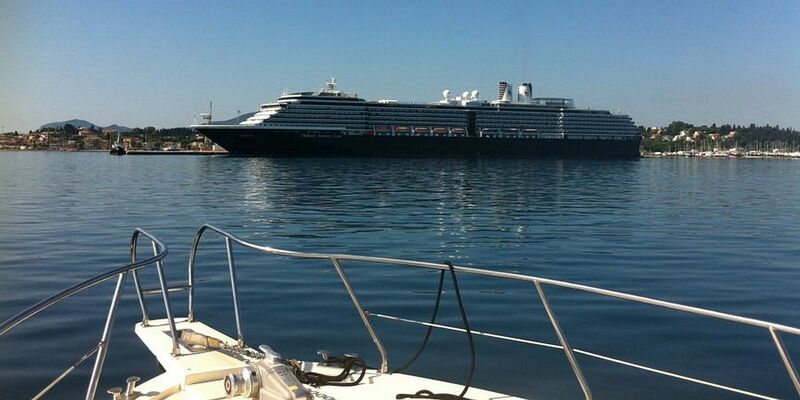 Nautilus was built at one of the major boatyards just outside Athens and her hull is designed for open sea fishing. 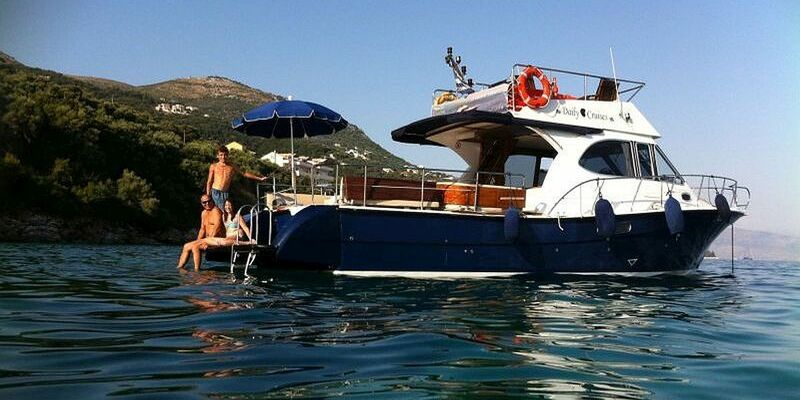 She is equipped with two Yanmar 250 HP engines, her maximum speed is 22 knots and she has been designed specifically to comply with all safety and insurance regulations for passenger carrying craft in Greece. Her navigation equipment consists of 2 x VHF DSC, GPS plotter and depth sounder. Downstairs she has a WC, and small kitchen with fridge. The main deck consists of an indoor lounge and outdoor seating, a sundeck forward and a bathing platform. Further seating can be found on an upper sun deck.